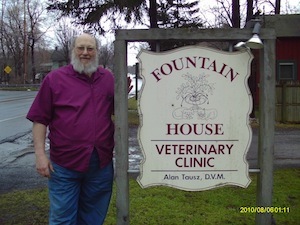 Located on the site of an old health spa of the same name, Fountain House was established in 1978 with the aim of providing quality, caring veterinary service in a very personalized atmosphere. Throughout the years since, with all the changes and improvements needed for progress, our objective remains the same: to maintain a family of clients and patients that we care for, in all the senses of that term. We want to provide the quality medicine and other support needed by you and your pet, and we especially want to share our love and great respect for animals. In the informal atmosphere of the reception area, clients and patients alike soon become friends. There's often a call from someone checking the progress of a patient met through this interaction. We strive to maintain this friendly ambience for your pet, to treat your animals as we would our own, and to give individualized handling for every situation in a small, compassionate environment. 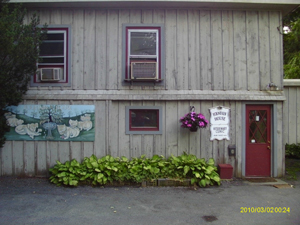 Copyright © 2014 Fountain House Vet. All Rights Reserved.